First off, this post owes a debt of gratitude to Ashley Schroder and Colin Mollenhour, without whom it would not exist. The goal of this article is to describe a development environment configuration that’s ideally suited for developing and deploying version controlled plugin/extension code, that is plugged in to a much larger system codebase. This is precisely the situation when developing extensions/override code for Magento, or plugins for WordPress and WooCommerce, and is a fairly tricky setup the first time you encounter it, especially if you come from a background like me where all the source code required for a system is checked into the same place. 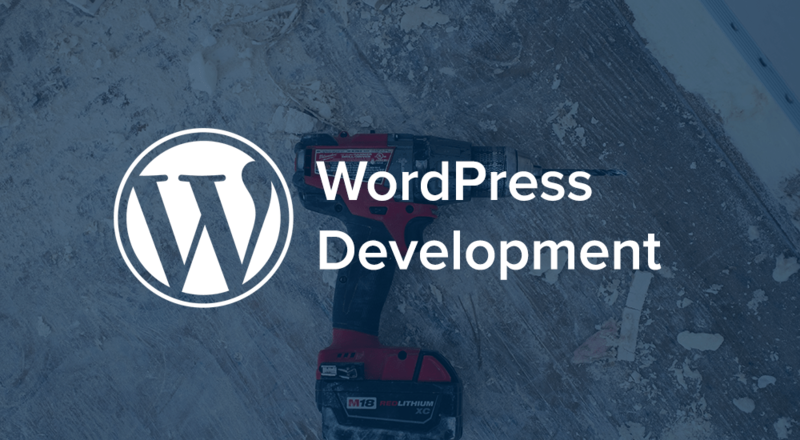 I will not cover the installation or configuration of Magento or WordPress here, as that’s already covered well in multiple places, and besides, this setup could probably apply to any number of other large pluggable frameworks that I have no experience in. This article will assume a few different pieces of software are used, but really the only required one is modman. Figuring out a reasonable way to structure Magento/WordPress projects is not easy. When I first began I knew I did not want to commit to source control Magento’s roughly 15k of core files, nor even WordPress’s roughly 1k. I also abide by the First Rule of Magento/WordPress Development: You do not talk about Fight Club. I mean, you do not modify core files. If I’m working in the webroot project I have to remember which files I’ve changed and copy them back to my revisioned extension project in order to check them in or compare to previous revisions. I tend to forget and end up with broken code on production. If I’m working in the revisioned extension project I can’t just make a change and immediately refresh my browser to see the result, I have to make the same change to the extension code in the webroot, which slows me down. Deploying code to production is painful because the file/directory structure I use when developing isn’t necessarily the same as what it needs to be when plugged in to Magento or WordPress. But I was stuck with it, that is until I found Ashley’s post, which did such an incredible job describing a modman-based development/deployment setup that it made perfect sense to me and I immediately adopted it and began working with it. Now the key player in all this: modman, is a brilliant little shell script which creates symlinks from a version controlled source (your module code) to a destination (your Magento/WordPress framework webroot) mapped by a simple configuration file. Meaning that your module code is: version controlled, removed from the core framework files (for ease of upgrading), and can have a structure independent of the final deployed layout. Modman achieves this by actually cloning (Git) or checking out (SVN) your module code into a special .modman directory within the framework project, and symlinking from there according to your modman configuration file. This setup described by Ashley completely solved problem #3 for me, however because I prefer to use Eclipse for development (which can not handle source controlled code within a project, unless the entire project is under source control), problems #1 and #2 still remained. From within Eclipse (or other IDE), create a project for your framework (Magento/WordPress/Whatever), and create a project for your custom code. For the sake of argument I’ll pretend from here on that we’re developing an extension called ‘Widget’ for Magento, but keep in mind this can be substituted with whatever framework/module you’re actually working on. Our project names will be ‘magento’ and ‘widget’ then. Install Magento into the ‘magento’ project, point your local apache and verify that’s all working correctly. Next we will attach a local Git repository to the Widget project. Right-click the Widget project in the Eclipse project navigator, and select Team > Share Project… > Git. Note that if you’re mirroring my setup exactly you’ll also see an option for ‘Aptana Git’; ignore it, while I love Apatana’s PHP editor, their Git support is horrible and I wish they didn’t bundle it in. In the Configure Git Repository dialog that appears, select ‘Use or create Repository in parent folder of project’. Click the checkbox next to the project name. Note that the checkbox might not actually appear checked, however you should see a warning message about how what you’re doing is not recommended (ignore it), and the field to the right of the ‘Create Repository’ button should be filled in with the path to your project. Click the ‘Create Repository’ button and then click ‘Finish’. Your project should now have a name indicating it’s shared, something like ‘Widget [Widget NO-HEAD]’. At this point if you’re not planning on connecting this local Git repository to a remote one like GitHub then you can move on to step 3. Otherwise, there are one of two likely scenarios you’ll be facing: attaching to a brand new empty GitHub repository, or connecting to an existing GitHub repository that has commits. Both options are discussed below. Note that you may get somewhat of an error message on the git pull step, but its fine. Where ‘widget’ is just used to identify the module being managed, and can be whatever you like, though it should be something meaningful. My convention has been to use the site url for site-specific override/extension/theme code ie ‘acme.com’, and use the extension/theme name for generic extensions/themes that I may want to use in multiple projects, ie ‘widget’. You can use modman to map any number of extensions/overrides into your framework project. The path specified is the path to the local extension project. The modman file must exist at ~/workspace/Widget/modman in the current example, and remember that we’re running this modman link command from within the Magento project. Now at this point if you’ve been following along we have: a revisioned extension project named Widget symlinked into an unrevisioned Magento project serving as webroot. Note that if you are following along in Magento then at this point you’ll need to log into the Admin and go to System > Configuration > Advanced – Developer > Template Settings and set Allow Symlinks to Yes. Otherwise Magento won’t follow the symlinks and you’ll get a bunch of errors when you load a page. So what did all this work buy us? Well, by now if everything’s working correctly you’ll be able to modify files from either the Widget extension project, or the Magento project, and both ends will be the same since the extension files within Magento are simply symlinks back to the extension project. Eclipse will visually indicate in the source tree when a revisioned extension file is modified or added, and you can commit, update, and push changes to the local and remote Git repositories right from within Eclipse. Most importantly you’ll have your code neatly organized, and you’ll be able to focus on writing that new extension that saves the world, rather than trying to remember to copy changes back and forth between multiple projects, and forgetting whether you’ve actually committed those changes yet. If you’re also working with an attached remote repository, ie GitHub, once you’re ready to push your local commits, you simply right-click the extension project folder and do Team > Push to Upstream. Well, I know there are some concepts here that I found tricky when I first encountered them: how modman functions by creating the mapped symlinks, the multiple repositories involved, the best way of actually structuring this combination of a massive number of core framework files interlaced with revisioned extension/theme/override files. I hope that it’s all made sense and gives you a better way of structuring your Magento/WordPress projects for engineering rather than hacking. If any steps don’t make sense, or anything is unclear, or you have some ideas on how to improve the setup, please leave a comment below. Thanks.It is a great article. The link https://github.com/foxrunsoftware/modman is not valid. Would you please check it. I am storing Magento in AWS Elastic Beanstalk. In order to deploy to multi server setup we use .git to push code. Our issue is, that in order to do this, we also have some custom magento files, and the whole magento installation is in .git as well. That means that we have .git inside .git, how do you solve this ? Right now .modman doe not work in production for this exact reason. Essentially under ./.modman/extension/* nothing exists, because .git gracefully ignores everything under 2nd .git folder inside .git repository.